A quote from Iain Henderson in the build-up to Ulster's match last weekend really caught the eye - and not in a good way. "The number of times you see Johnny shouting or looking like he's angry, everyone has trained with him enough to know he is not losing the head, it's just because he cares," said Henderson. "He gets like that in training and you know it's for the greater good of the squad, his drive." Wrong, Iain. Sexton's behaviour in Rome - and I don't care if he is World Player of the Year - was unacceptable. Real leaders support team-mates, particularly in moments of crisis. To excuse that tantrum, with Jack Carty making his debut, as "part of me" is just not good enough. Equally, to suggest that a nasty temperamental edge somehow equates with being more competitive or having a stronger drive or greater commitment to the cause is wrong. I repeat what I said in the aftermath of that Christmas meltdown against Munster in Limerick: I love Sexton the player, he is a class rugby act and superb tactician, but Sexton the captain/leader you can have. And please spare comparison with Roy Keane at his fiery but equally self-absorbed best. Great leaders inspire, they don't alienate. There is a fear factor building around our key player that cannot possibly benefit team morale. It needs to be checked and there is only one man to do it. Johnny has thrown down the gauntlet, it's time for Joe Schmidt to take it up. One area where I am on the same page as Sexton is when it comes to talk of a World League, which is apparently on the way. It is an amazing call given its timing and the clear absence of player input to a decision that impacts on the engine that makes the motor tick in what is a still-evolving professional game. 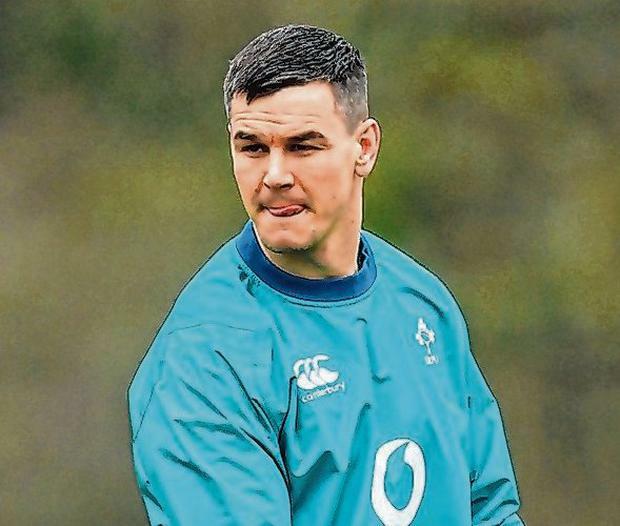 The response of high-profile players such as Sexton, Owen Farrell and Kieran Read will be echoed by professional players everywhere on the simple but very justifiable grounds of self-preservation (player welfare), and any administrator who fails to grasp that central tenet is living on cloud cuckoo land. The new format would involve all Six Nations teams, the four Rugby Championship sides, and two more - the US and Japan - to make an even 12-team league to be played on an annual basis in the three non-World Cup years. Ten of the countries set to be included figure in the top 12 rugby playing nations, according to current World Rugby rankings, with the US and Italy (13th and 15th respectively) set to be included ahead of Fiji (9th) and Georgia (12th). Japan make the cut on merit but the inclusion of the US and Italy surely knocks that old meritocracy theory central to European Champions Cup reorganisation on its head. While fully behind the players on this one there is some merit in the proposal but unfortunately the geographical impracticality, never mind the lack of concern for players, makes it mission impossible irrespective of who supports its introduction at the top table. Primarily it would remove the 'Test friendly' misnomer from the lexicon and irrespective of semantics could protect the July Tests, in the southern hemisphere, and November series Autumn series (north of the equator, going forward. Against that is the danger of diluting the World Cup, specifically through the planned December semi-finals and final on an ongoing basis outside of World Cup years. Does it really matter who is number one in any of the years between World Cups? FIFA has long managed just fine without such an interim barometer other than global rankings. If there is genuine concern about the future of the lesser nations then the piggy bank should be raided and a place found for the Pacific Islanders (especially Fiji) and Georgians of this world. I have little doubt that somewhere down the track a play-off will come into being for the Six Nations or perhaps it will increase in number, as it has twice since its original formation in 1883. The French did not come on board and join the then Four Nations until 1910 and were further excluded between 1932 and 1947. The Six Nations came into being at the turn of the century when an exceptional Italian squad more than earned the right. Since, sadly, the Azzurri's form has been poor and that decision anything but justified. Meanwhile, in the southern hemisphere, SANZAAR continue to be all over the place in relation to the wonderful tournament that was - and still can be - Super Rugby. The conference system is at best confusing and in some ways inequitable with the ever-present fear that the PRO14 is heading further down the same road.